Well my mission to try some new dairy free milks has not been that successful. So I am trying really hard to find some new dairy free milks to try. 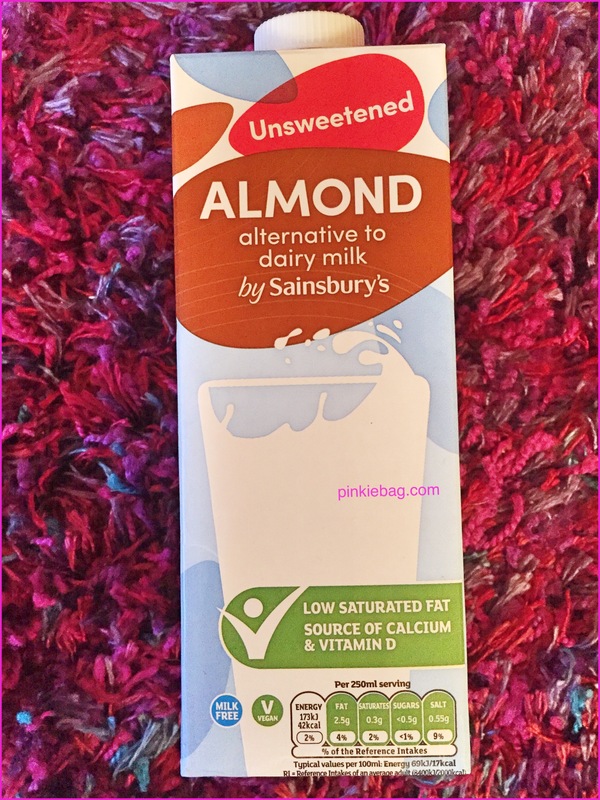 One of my favourite milks is almond as I like it’s fairly neutral flavour and that it’s low in calories. So when I saw my regular almond milk was out of stock I decided to try Sainsbury’s own brand almond milk instead. I personally didn’t like the colour or design of the packaging design with the light blue and brown colour scheme with a glass of milk. The only positive is that is clearly labelled as being milk free and suitable for a vegan diet. The ingredients list is on the back of the carton with 2% almonds noted. The almond is clearly highlighted in bold as an allergen. 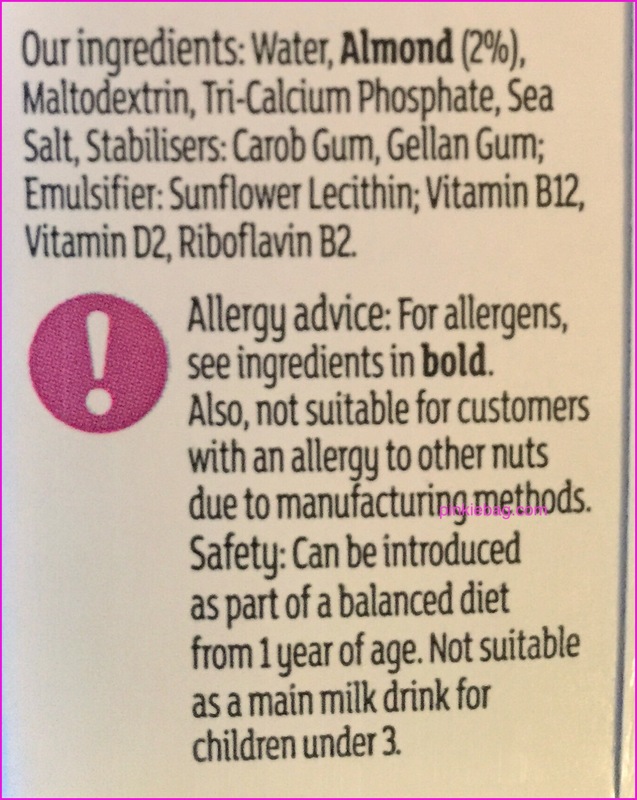 There is a note that it is not suitable for individuals with an allergy to other nuts due to the manufacturing methods. The milk is labelled as being milk free, and suitable for vegans. On opening the carton there was a subtle nuttiness aroma to the milk. I’m personally not keen on milks that have a sweet artificial aroma and this didn’t so that was a big positive for me. It poured easily into a glass it was cream/brown in colour. It was slightly runny and wasn’t really creamy in consistency. On sipping the milk it was slightly smooth but not creamy in texture. There was a pleasant subtle nutty flavour to this milk, but if I’m honest I wouldn’t say it tasted of almonds. It didn’t taste artificially sweet compared to other brands that I have previously tried. I also warmed the milk for 90 seconds in the microwave ready for my famous Weetabix test. It microwaved well and did not separate or form a skin to the top of the milk. Its aroma didn’t change. It was absorbed easily by the Weetabix. On tasting the Weetabix it tasted just as a Weetabix should the milk did not impact on its flavour. This may sound a little strange but a couple of milks that I have previously tried have made my Weetabix have an artificially slightly sweet flavour. I personally don’t like this and like to add my own sugar to my Weetabix should I want to. So would I recommend this almond milk? Yes I would. I liked everything about this milk from its aroma through to its flavour. So if you follow a dairy free or a vegan diet why not give this almond milk a try. So thank you Sainsbury’s for producing an almond milk that I can enjoy. I do love almond milk but I feel going for the same named brands. Good to know you rate the Sainbury’s, worth a try for sure. Hi, it is always worth trying supermarket own brands, please let me know what you think to this if you give it a try. I’ve never had any milk in my tea, apparently that milk is one of the better dairy free ones to have in a brew. It sure is perfect for a nighttime cuppa. They sure can be I always bulk buy the UHT versions when they are on offer. It’s on my list to try. Thank you. I hope that you found it helpful. I tend to avoid almond milk and go for coconut instead as I find the almond too strong a taste in my tea. Hi, that is interesting to know thanks for the helpful tip. It is a nice milk to try, thanks for stopping by. Oh I have yet to try Aldi’s I must give it a try thanks for the tip. 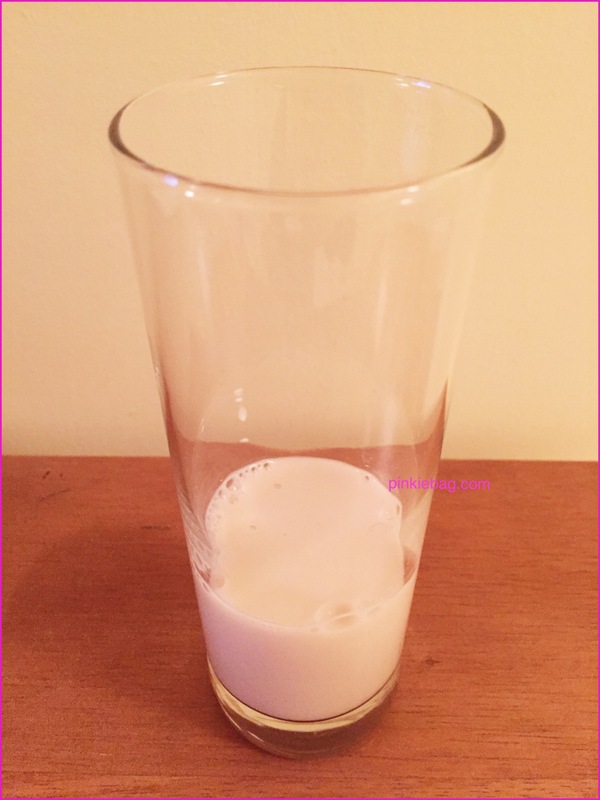 It’s a great low calorie milk to try, I hope that you like it. My daughter loves almond milk, so I will make sure to share this with her. Thanks for the review! Hi, no problem I hope that your daughter enjoys it. Oh chocolate and almonds a great combination. I personally prefer almond milk to oat its good that there are so many choices to choose from. Really want to get into having almond milk and steer away from dairy milk all together, so this would be a great place to start! Hi, it sure would be 😊. So glad you’ve found another dairy free alternative that you like! I haven’t sampled this one, I do love a soy milk hot chocolate though, and Oatly oat milk for my porridge! Hi, thank you its great to have a choice. Soy milk hot chocolate sounds good, I’m not so keen on oat milk. I love almond milk, I usually have almond breeze (as it doesn’t bust my budget, being a student and all) how much did this one cost? I think its about the same price. I also use Almond Breeze. Oh this should be perfect for you to try then. Hi, they sure do they have a variety of dairy free milks both UHT and in the chiller. I was interested in reading your review, as I’ve been thinking of trying dairy free milk but just haven’t taken the plunge yet. Do you have a favourite out of all the different varieties that you’ve tried so far? Hi, I like unsweetened almond milk as it also low in calories, but it depends what I am using the milk for. If cooking I tend to use soya milk. Hi, yes it is a great alternative milk but obviously not suitable for you. Are there any rice milks that you could recommend? I have only tried a few and I have not really enjoyed them, thanks. Unsweeted almond milk is always my go-to. One time my husband bought the unseated vanilla, and the flavor was just too sweet for me…especially in cereal. This sounds right up my alley. Thanks for sharing. Hi, yes this sounds like the perfect milk for you to try. It’s amazing what a difference in the taste the sweetened version can make. I wish we had Sainsbury’s in the Netherlands! I don’t like milk at all anymore, so this sounds like a pretty perfect alternative! Hi, yes that is a shame all of our supermarkets tend top stock alternative milks. Gosh this would be no good for you then. This seems good for those on a vegan/diary free/clean living diet. It sure is great for both diets. Oh I like Rude Health as well, but a tad expensive I shall have to try the hazelnut one. Oh yes a milk smoothie I’ve not had one for a while. I’m on a non dairy diet but I’ve always avoided this, I think I might give it a try, I really don’t like sweetened milk either and it’s good to know it doesn’t separate in the microwave. Yes that separation can be a pain and not very appetising. If you try this milk, please let me know what you think, thanks. I keep meaning to try a almond milk coffee but I am not a fan of coffee so keep putting it of. Hi Chloe, I can’t imagine not being able to enjoy a nice cold glass of cows milk! At least there are alternatives out there for people who cannot enjoy cows milk. I’ve seen almond milk here, but it is a little on the pricey side. Hi, it can be pricey but supermarket brands tend to be a good option price wise. Hi, it certainly is a great alternative to try, thanks from stopping by. Oh someone else has recommended the one from Aldi, I must give it a try. Thanks for the tip. Indeed its always good to find new alternatives to enjoy. Unfortunately I found the Sainsburys unsweetened almond milk too overpowering in tea but it turns out it’s good in coffee. I agree that it works well on Weetabix! I’m glad that it passed your Weetabix test as well, intetresrtuing that it doesnt work well in a cup of tea.